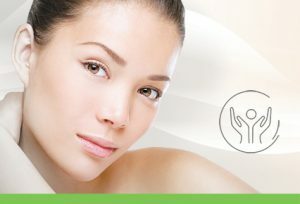 ExpoZen® protects skin against exposome, responsible for premature aging and sensitivity. 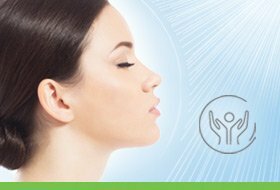 ExpoZen®improves the protection of skin against external and internal aggressions, responsible for sensitive skin, which involved skin neurosensory dysfunction, neurogenic inflammation, and immune cells activity. ExpoZen®delivers its soothing properties by inhibiting the substance P receptors. It also acts on TRPV1, which provides a sensation of heat and pain (nociception). In vivo, ExpoZen® preserves the youth capital and has an anti-wrinkle effect on crow’s feet, thus preventing the premature aging effect induced by Exposome. It shows a soothing effect on aggressed reactive and intolerant skin, calming feelings of discomfort and redness. The skin is beautified and does not tug anymore.